Harvest, a beautiful and joyous time in the wine grape industry and a time when Dave, Helen, Jessie, and the rest of the d’Art Wines team celebrate the fruits of their labor, literally. But did you know that it takes years for grapevines to produce the rich, flavorful grapes we use to create the wine you love? Join us for a quick journey through the annual cycle of a grapevine and discover what really happens out in the vineyard. Grapevines are a prime example of what a deciduous plant is in that they grow and bloom during the spring and summer months and go dormant during the fall and winter seasons. The cycle then repeats itself for the lifespan of the plant. Grapevines are also just that, vines. Should these vines be left to their own devices, one would find them self with a honeysuckle like bush/tree, full of dead undergrowth, spanning as far as the new growth can reach. With the help of pruning and training, the grapevines form to be the sturdy, thick-rooted plants that we see in the vineyard. By allowing the grapevines to concentrate their energy on becoming strong, vital, and resilient, they're able to produce delicious, wine-worthy grapes. Many vineyards choose to postpone a grapevines fruit production by three years so the plants may reach what is considered optimum potential. This ensures the highest quality possible rather than risking the production of small fruit, which could lack flavor. Now that we have a bit more understanding of what happens in the vineyard for a vine’s first three years, let's take a look at what’s in-store for the plants over the course of a typical year. In the Northern Hemisphere, April brings new life. Buds begin to break through the otherwise seemingly dead vines. As these new signs of life begin to show themselves, vineyard workers are performing an annual task known as shoot thinning. Shooting thinning is an act that removes the unwanted, early canes from growing so the vines energy may be focused on producing the highest quality of grapes. June and July come quick, bringing with them immature, unripe clusters of grape bunches. All grapes begin their life as green berries that will change colors throughout their time on the vine. A period referred to as vérasion. It is during vérasion when the fruit changes from green to yellow, pink, red, or purple. This display of color creates a joy throughout the vineyard and gets a Dave’s gears turning! It is also during the summer months that grapevines undergo a green harvest, or thinning of superficial grape bunches. Excess growth is removed from the vines with a hope that they may once again concentrate their energy into the remaining grapes. Quite possibly the most gorgeous, well-known time of year in the vineyard is fall and most commonly, loving referred to as the harvest season. Aesthetically pleasing, September through November sees a changing of the leaves and fruit that has achieved its full potential. It’s a time when all hands are on deck to make sure the grapes are picked in a timely fashion to begin the pressing and production of that divine nectar. FUN FACT: Grapes do not continue to ripen once picked. It then becomes a case of what you see, and taste, is what you get! Some grape producers choose to leave a small quantity of grape bunches on the vine until late fall. These late harvest bunches are known for producing sweeter grapes, making for the perfect dessert wine. Once fall is complete, the grapes have been picked, and the last of the leaves have fallen, winter sets in in the vineyard. From roughly November until the following spring, the vines enter their dormancy but not before going through an extensive pruning. After removing the debris from the vines and the surrounding area, vineyard hands remain busy during the months of January and February diligently pruning and prepping the canes for the following spring. Interested in knowing more? Visit us any time, during tasting room hours of course! We’d love to give you a tour of our facility and show you just how we do it here at d’Art Wines! Many wine lovers have visited a tasting room or two in their day. Enjoying the best of the reds, whites, and blends each winery has to offer and even taking a bottle or two home to indulge in on a later day. But what goes into creating that cherished nectar which evokes the nostalgia from its purchase date? What does it truly mean to be a handcrafted wine? Let’s visit a few key components in the handcrafted wine process to begin learning what it really means to be a handcrafted wine. Handcrafted wines are owned and operated by passionate individuals who make it a family affair. Everyone is involved from the maintenance of the vineyard, making the wine, harvesting the grapes, working the tasting-room, and every last business aspect behind closed doors. 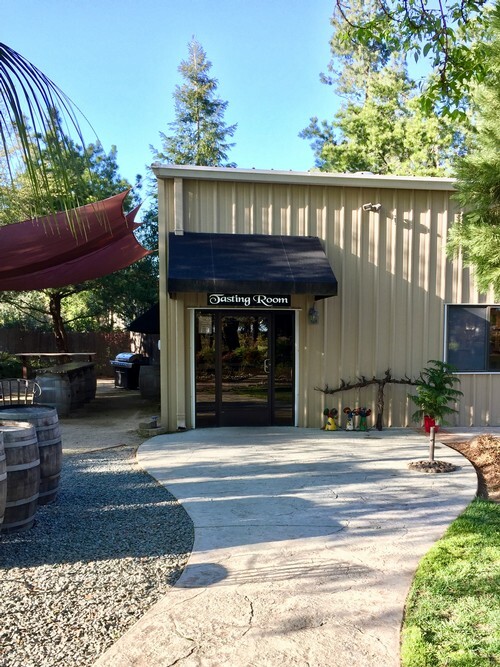 Though the wineries may hire staff to assist them with their business, these families are dedicated to producing the highest quality of wine through a hands-on approach, and their earnest efforts are showcased in every bottle. From the soil to water allotment, hand harvesting, and walking the grounds to ensure the vines and fruit are thriving, the land of which the grapes are grown is one giant machine. Winery owners and winemakers know this and in knowing so, make every attempt to keep their machine as well-oiled as possible. Winemakers are scientists, and they are nowhere short of brilliant. Their efforts to achieve perfection in a bottle requires constant experimentation. Be it the barrels they select, the location the tanks are stored, how much water the vines are given, or hitting the lab to “play” with the product to achieve a perfectly balanced wine bursting with flavor. All of these examples and more go into the science behind creating the wines we love. In every glass, the wine lover should be able to experience the area. Everything from the soil the grapes were grown, the love and care the fruit and wine were given through each step of the process. With handcrafted wines, the wine itself is a direct reflection of climate, location, devotion, passion, and care, and with that, it reveals more and more of its story with every sip. The Stockton-Lodi wine region and its respective winemakers scattered throughout the area are geniuses at play. They’ve been taking wine one might find great and making it greater for as long as we can remember. Be it red blends or white blends, zinfandel, barbera, viognier, the wineries and their resident makers are creating extraordinary, flavorful wine with exceptional mouth feel. Our scientists at large in the Stockton-Lodi wine region put in countless hours of experimentation, research, and tending to the grapes out in the field to provide better than quality hand-crafted wines for their consumers. Their efforts are our cherished indulgences, so the next time you’re visiting and spot the winemaker, show give them some love and much deserved kudos! Want to know more about our handcrafted wines and family operated winery? Visit our tasting room for the d’Art Wines experience! Established in 1869, as Mokelumne, and later changed in 1874 to what we now know as Lodi, CA, was once described as a sea level region and, “an abundant paradise.” Resting peacefully between the Sierra Nevada foothills and the San Joaquin-Sacramento River Delta, the area has given birth to what has been steadfastly becoming known as some of the best wines California has to offer, especially their old vine Zinfandels. Lodi is an area historically rich in agriculture. This Northern California area’s humble beginnings are still prevalent to this day; allowing for a welcoming, customer-service forward visit. From the farm to table style restaurants and boutique shops in the Downtown district to the owner operated wineries surrounding the region, Lodi offers an experience most wine lovers will appreciate. Beyond a culture that values its visitors, what other factors contribute to Lodi’s ability to produce various exceptional wines? The two-part answer will first bring us down to the nitty-gritty: dirt. The soil of the Stockton-Lodi area is comprised of granitic-based minerals, one in which the grape vines of this region have flourished throughout the years. This fertile soil, known as sandy-loam, possesses a talcum powder like consistency and is heavily infused with the minerals needed for vines to produce the grapes distinct to this California region.Along with fertile soil, the City of Lodi is geographically located in one of the best areas to mimic a dry Mediterranean climate. The dry, hot summers, which have become synonymous in the wine world for producing delicious grapes, are also followed by cooler temperate seasons that involve rainy winters. Most of California fits this bill but not quite in the way Lodi and its surrounding area does, especially when coupled with the sandy loam soil for which the area is known. An additional contributor are the cool nights lending their hand and allowing the grapes to develop thicker skins and housing richer flavor and color for the intended wines. Though we could stop there, we must humbly acknowledge the talented winemakers in the area as well. With no need to conform to the mainstream wine ideals, there is much room left to play with nature’s gifts. Many red and white blends coming from the area display wines full of flavor and texture that leave us wanting more. For some, the tasting room is uncharted waters and with that comes a bit of uncertainty regarding proper etiquette when visiting a winery. To alleviate any reservations that may be had by expectant visitors, d’Art Wines has compiled a list of suggested etiquette to get the most out of your visit at any tasting room. • No perfume or heavily scented products- We love your perfume as much as you do but sadly, many others in the room may be allergic or have a sensitive olfactory system, which will interfere with their tasting experience and has the potential to hinder yours as well. Remember, wine tasting is a journey of the senses- sight, smell, and taste. • Hydrate and stay nourished- It is highly advised to drink plenty of water before, during and after your tasting experience. Some wines contain higher levels of alcohol, which may contribute to accelerated dehydration. 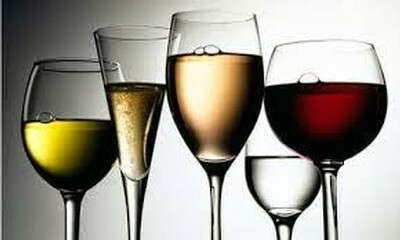 Additionally, you will want to cleanse your palate between samples and water is just the tool to assist you with that. Also, food will go a long way in your winery stamina so please eat breakfast, or lunch and bring your favorite snacks! • Please call ahead for large groups- To better accommodate a group's needs, wineries ask for groups of 6 or larger to call ahead so that we can arrange for enough staff on the day of your visit. We feel each and every guest deserves the same amount of attention so please give us ample warning to better serve you. • Wear comfortable shoes- If you are planning on trekking through the vineyard or attending a picnic at the winery you are visiting, make sure you wear appropriate foot attire. Stilettos sink in grassy and dirt areas, and we all remember what happened in college when we went out drinking in anything higher than an inch. • Skip the white outfit- Tasting rooms can become relatively congested areas with others wanting to spend their day tasting wine. Accidents happen, especially with red wine added to the equation. • Give yourself enough time- Allot yourself one hour per winery you visit and be sure to give yourself enough travel time in-between. Being rushed and unable to enjoy your visit will only deter you from finding the wine of your dreams. To go along with this same idea, please do not arrive 10 minutes before closing- this does not leave adequate time to enjoy your visit. • If you don’t have anything nice to say…- Not every wine is for everyone. While you may not like a wine you’ve just tasted, your friend and another tasting room visitor may love it. Vocalizing your opinion about a specific wine is one thing but overtly putting it down is another. So with this, we ask that each winery visitor tastefully express their personal preferences without discrediting a particular wine. • Take notes- Throughout the course of your visit, you may experience a wine or two that really jumps out at you but keeping track may prove to be a bit challenging. Taking notes and jotting down highlights of each wine you taste is a great way to stay on track for your wine preferences. 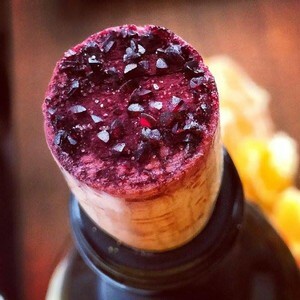 Wine crystals are relatively misleading to those who are unfamiliar with them. It is often believed that these crystals are hardened sediment, cork rot, or broken glass fragments from the bottle itself. As it turns out, these beautifully formed crystals are anything but the aforementioned. The crystals in question are actually what is known in the wine community as tartrate crystals and often referred to as “cream of tartar,” “wine crystals,” or “wine diamonds.” These crystal deposits form on the cork of a sealed wine bottle when tartaric acid and potassium, naturally found in all grapes, are bonded together during exposure to extreme temperatures, a process known as cold stabilization. Cold stabilization extracts potassium bitartrate from the wine itself and helps to achieve flavors and aromas in wines. However, it should be noted it is important not to allow the wine to be exposed to such an extreme temperature for too long as the process has the potential to completely strip the wine of all aromas and flavors. Many who find wine crystals in their wine should not be worried. The presence of the crystals pose no threat to the quality of the wine itself nor do they alter the flavor of the wine once the processing is complete. Consuming wine crystals is completely safe as well and possesses only a slightly bitter aftertaste when chewed. Some wine lovers may find they are not keen on seeing the crystals in their wine. If seeking a way to remove the wine crystals, wine makers advise using cheesecloth to strain any unwanted diamonds or decanting the last quarter-bottle of the wine itself.